Arrow mid-season variety. Bulbs round-flat, average weight of 80-120 g, with 4-7 teeth. 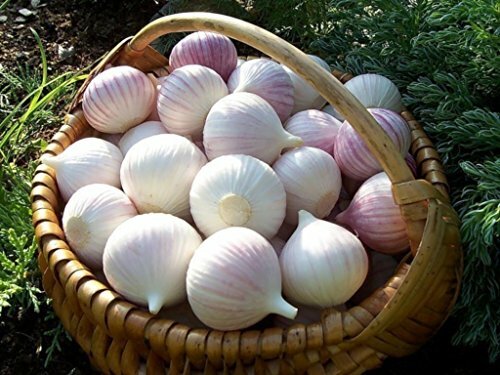 Reproduction air of winter garlic bulbs, it is useful to update the seed, as the plants derived from them, are less affected by diseases and pests. Sowing is thickened in March-April. In late summer, dig up mature onion, dried and planted in the autumn under the scheme 40х10 cm. Cleaning is carried out in July-August next year, after yellowing of the lower leaves. Package includes: 10g (about 120 seeds) We are not include text instruction in English, but if it's needs please request it and we will send to you email. Thank you understanding. Instruction in English: by request on e-mail (Thank you for understanding). If you have any questions about this product by Fertile Ukraine Seeds, contact us by completing and submitting the form below. If you are looking for a specif part number, please include it with your message.